My emotions definitely drive my music. It’s such a release to sing and play the guitar. Writing gets me about halfway there but performing completes it. I’ve always written music about my experiences, friends and family. I think I’ve always known that I needed to be a musician. I was scared to put my songs out there at first and that was the only thing holding me back. When my dream became a reality was when my songs were recorded. It just really opened doors for me and made touring and my music career possible. I think my style falls into a folk/pop category with some soul behind it. Dave Matthews is my biggest influence. His writing and music has always moved me. I get lost in his songs and his passion really inspires me. Indigo Girls are definitely my next inspiration. They have poetic lyrics and voices that melt me. I’m a sucker for acoustic music. My next inspiration would be Janis Joplin. I still remember the first time I heard her music. She just rocks and her voice and songs fire me up. There is something about her music that drives me and motivates me. I wish I could have seen her live. When a venue seems like a living room is when I’m in my glory. I dig the smaller, intimate settings. Since I perform solo the majority of the time I really appreciate listening room venues. As an artist you get the chance to connect with the crowd on a very personal level. Don’t get me wrong though, the big stages rock, but I like chatting to my crowd and smaller venues give you that chance. I am really excited about how my career has evolved. When I first started out I was just doing open mics and local gigs. Since then I’ve toured the US three times performing as far as Seattle, WA. I worked with a Grammy Award winning producer on my last album. I have performed at 20 different music festivals/conferences. 130 College Radio stations are spinning my albums. My sophomore album was under consideration for a Grammy nomination. I opened for Bon Jovi’s violinist. My sophomore album is getting national radio play. It truly amazes me how much my career has changed and it just keeps getting better. I love it. The Philly music scene is awesome and I think what makes it amazing is the fact that the musicians all collaborate. Many other scenes have more of a competitive attitude but Philly is very collaborative and the musicians help each other out. There is a great singer/songwriter scene and there is a ton of cool venues. Depending on the area depends on the style of music but two venues that always bring phenomenal musicians through is the Tin Angel and World Café Live. I love being back in Philly and the music scene is really diverse but jam packed with talent. Life was the inspiration. A lot has happened in my life over the past two years and whether bad or good I was writing about it. I also think that the album has a more positive upbeat feel to it. A lot of that comes from the fact that I have a more positive outlook on life and feel very empowered and my songs have that component to them now. When people can rise above and live their life with a positive attitude it’s a beautiful thing. I think the album has that vibe. Wow that is a tough one. It’s tough because I can’t think of just one tip so I will give a couple of tips. One would be make sure the songs are complete and exactly what you want otherwise you will fuss around in the studio. Time equals money in the studio. Two would be to record yourself before going into the studio and figure out some pre-production on your own so you don’t waste in the studio. You can try different things with your voice, tempo, instruments, etc. for a lot less money. The last piece of advice comes from my producer - don’t over rehearse. Sometimes when you over rehearse it causes you to deliver a stale performance. I think being able to handle rejection and constructive criticism early on will make or break you. This business is tough. Always be willing to better yourself and work hard to be the best at what you do. Self-doubt was my biggest challenge. The only way to overcome that is to get on stage as often as possible in as many different settings as possible. Open mics, street corners, loud bars, coffee houses, house parties it doesn’t matter what the venue is, get your music out there and overcome your fear. My other challenge was breaking into other markets. It’s the chicken before the egg problem of the music industry. Artists want to broaden their audience and fan base so they try to play in new cities. Venues don’t want to book you unless you can draw big numbers. How do you draw big numbers if you have never played in that market? Aww it makes my head hurt. The only way to overcome this is networking with local musicians and swapping gigs. I offer an artist from Oregon to come perform in my hometown where I can draw big numbers and in return I open for them in their hometown. It’s a win-win! Everyone fails before they succeed. Labels turned down the Beatles at one point. Thank god they didn’t give up. My advice is to make a list of goals. Small goals so that when you succeed it’s a series of small victories and then eventually the big victories happen. This is also a way to focus your energy so that you don’t burn yourself out and get frustrated. I’m here to stay and I love what I do. I think something that surprises people is that I stay in close contact with my fans and I always try to respond so don’t be shy to contact me. My music career wouldn’t be possible if it weren’t for my awesome fans. GoGirls rocks and I have a huge amount of respect for Madalyn and her passion for music. This is an amazing community of really talented, hard working musicians. I’ve performed at huge festivals like SXSW and Dewey Beach. I’ve networked with artists across the U.S. I’ve been connected to people to help me with website and social network site designs. It’s really just a great group of people and I’m honored to be a member. 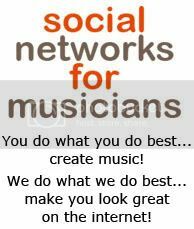 Madalyn Sklar is a music business coach & consultant, blogger, social networks expert and author. She has spent over 15 years helping independent musicians and music business professionals achieve greater success in the biz. Her motto is: working smarter not harder. 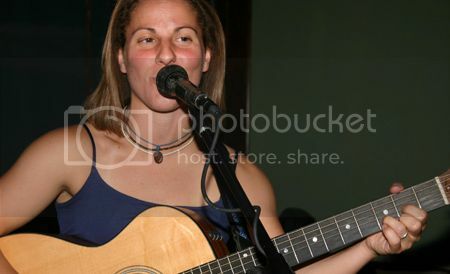 She also founded GoGirlsMusic.com, the oldest + largest online community of indie women musicians.